Trucking safety laws aim to prevent truck collisions in Southwestern Florida from occurring. The Federal Motor Carrier Safety Administration (FMCSA) passes Federal Motor Carrier Safety Regulations (FMCSRs) aimed at reducing the chances of dangerous behaviors which cause truck accidents. States can also pass their own trucking safety laws to impose stricter rules than federal laws, if they wish to do so. At least states have this authority to do this right now. Richmond Times Dispatch indicates states may soon no longer be able to impose additional rules related to trucker meal breaks or to trucker rest breaks which go beyond the rules which exist on the federal level. This is because a provision has quietly found its way into a federal aviation bill which would pre-empt state law and prevent states from giving more protections to truckers when it comes to guaranteed breaks. This provision is one of several recent efforts by federal lawmakers which appear to have the effect of undermining trucking safety. In December of 2014, the Consolidated and Further Continuing Appropriations Act passed and was signed into law. This Act was essentially a must pass act to keep the government funded and operational. Because it was must-pass legislation, lawmakers were able to put provisions into it which they wanted to get passed quietly, which might not have passed if the individual provision had come up separately for a vote. One of the clauses included suspended a requirement which had been issued by FMCSA. The requirement had mandated a 34-hour rest break, with two periods spanning the hours between 1 AM and 5 AM. This break would be required after a trucker had driven 60 hours over seven days or 70 hours over eight days. Many truckers had objected to, and fought against, this 1 AM to 5 AM rule because they argued it would force them to be on the road during very busy times. Lawmakers listened to these concerns and suspended the requirement. Unfortunately, the rule had been passed for an important reason- prevention of drowsy driving accidents. By abandoning the rule, the risks of drowsy driving truck accidents arose again. 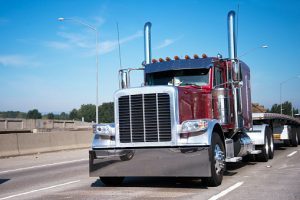 Following this shift in the law, federal lawmakers tried to include language in a transportation bill pre-empting state laws and prohibiting states from passing stricter rules for truck driver rest and meal breaks than the federal government imposed. The language was taken out of the transportation bill at the time but it has now been put into the aviation bill. There are 22 states right now where truckers are entitled to more meal or rest breaks than the federal government would mandate, because state law mandates these breaks. If the language makes it into the aviation bill and ends up preventing states from mandating more worker protections, the risk of truck accidents could increase because drivers could face more pressure to just continue driving rather than stopping for a meal or for a rest.